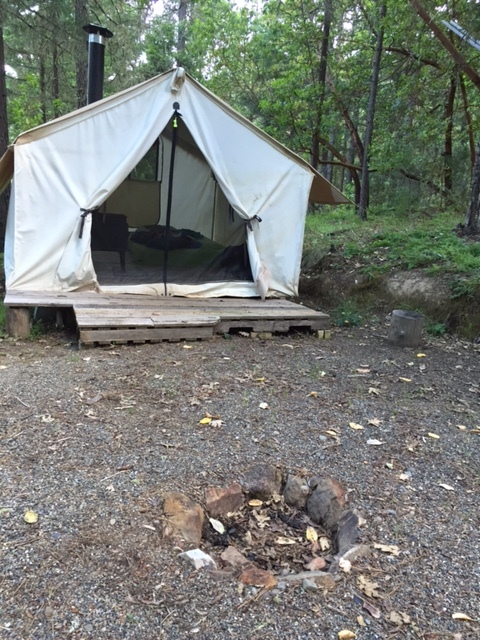 2 Weeks of Farm Life and…. It has been two weeks since I’ve been in Oregon. Two weeks of farming and already it feels like I never stopped. Not too much has changes in my day to day activities since last week and I’m finally getting into the groove of things.. although I’m still pretty out of breath by the time I get to my tent (it’s a good ways up the hill). 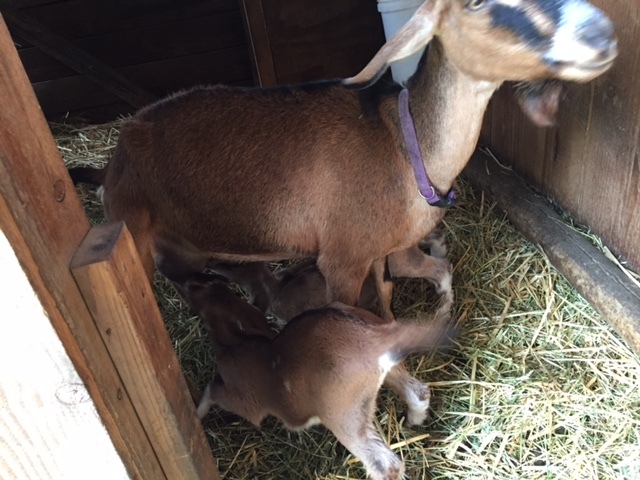 This week I think the goats are finally getting used to me being their morning milker. The kids are cute, but they’re still not to fond of me. When they here the metal buckets clanging together on my way down to them in the morning they start screaming because they know I’m about to steal all of their mothers milk. I led my first children’s group this week. I taught the animal feeding station. 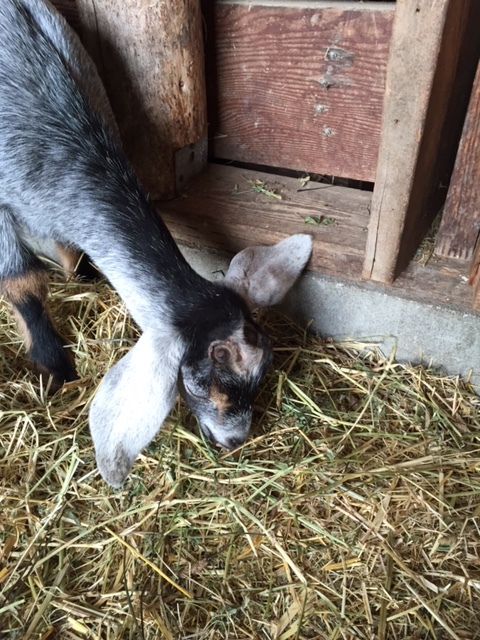 We would harvest different forage around the farm like bolted lettuce, clipped blackberry cuttings, and other shrubs that the goats love and then we would feed it to them. We would play games to see what forage the goats liked the most. I would teach the kids about why we have goats instead of cows (because of their different grazing habits and the space we have on a small farm like this). The first class we had visit the farm (5th graders) loved it and wanted me to teach them everything I knew about the goats. 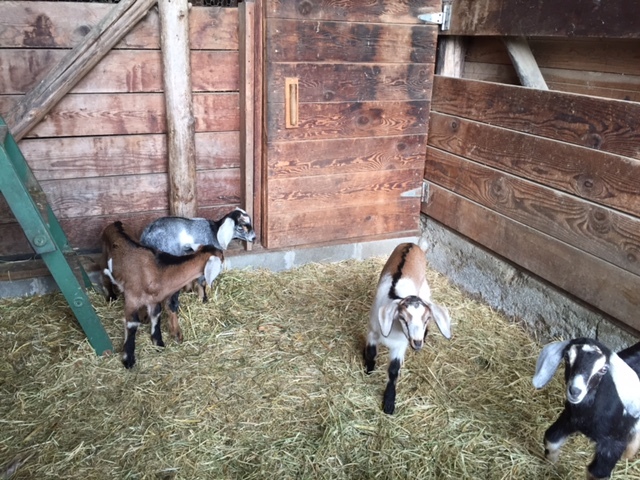 The second group (7th graders) were very hesitant to clip the blackberry cuttings or hold the baby goats. It was interesting to teach different classes and see the different dynamics between them. I don’t remember if I told you guys this yet, but I’m participating in what is called the Rogue Valley Farm School. The people in charge at White Oak are paying for my classes, so even though I won’t be here a full season I can still attend the ones that go on while I’m here. Last Sunday the farm we visited was White Oak, so I didn’t have to travel anywhere. Taylor took us around the farm and thought us about natural building, forestry, and community living. 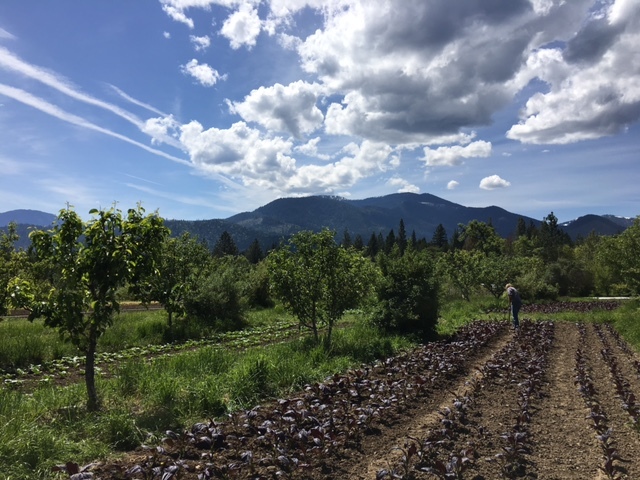 This past Thursday we went to see the guy’s farm who is running the Rogue Valley Farm School. He lives on a 40 acre plot of land that he leases and does some brewing out of.. We didn’t get to try any beer, but he said we could come back for that. That Thursday we also had a potluck. There is nothing like a potluck when you have a lot of people from diverse farms. You end up with a lot of salads, veggies, cheese, wine, and whatever else they’re making or growing on their farm. It was delicious. Yesterday I had the day off from milking! So I managed to sleep in till almost 6:30! Then the newest intern who just arrived, Emily, and I went and did some biking. One of the people who lives on the farm is really into bikes so he always has a bunch of bikes laying around that are up for grabs. 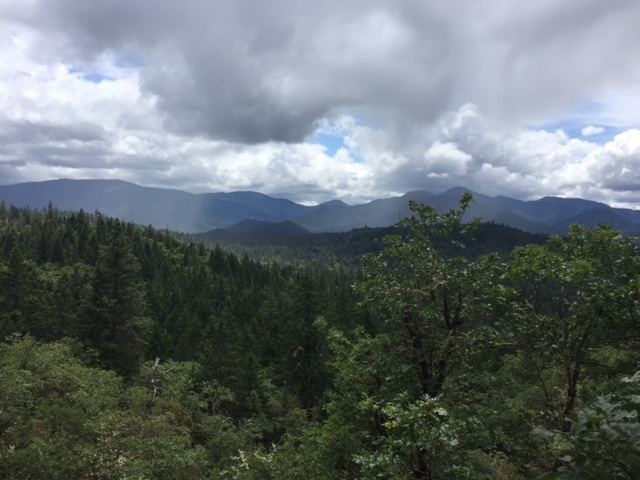 Emily and I tried to bike into some surrounding towns to feel out the area, but any time we finally made it to a town it was really just a little convenient store that sells beef jerky, beer, kombucha and rents DVD’s (every store in southern Oregon). We ended up biking over 25 miles. We made it to a food truck and got burritos and we also made it to a neat little park, called Pacifica, where we managed to get some hiking in. I think biking is going to be my main mode of transportation here which I’m excited about, but may be less excited when it starts to be 100 degrees every day (I see this in the forecast for next week). I haven’t quite decided what I want my weekends to look like outside of Rogue Valley Farm School, morning milking, and adventuring. I have quite the passion going for cattle, which we don’t have on the farm, so I may try to see if one of the surrounding farms with cattle could use a little weekend help, and then maybe I could bike to them. Maybe I could even make a few bucks out of it to pay for the occasional burrito or chocolate bar I want to buy off the farm. I will keep you posted on that note! Right now I’m sitting in my hammock up by the common house, mostly in the shade. I can hear the birds signing, the lizards that scurry across the dry ground, thousands of bees buzzing in the pollinator garden, the trees shaking their leaves in the wind, the hens occasionally reminding each other of their pecking order, the baby goats yelling for their moms when they get separated, the frogs burping and croaking in the ponds. I see snow at the top of the mountain slowly fading as the summer sun cooks it. I see raspberries that are already ripe and that I will probably pick when I finish writing, I see my favorite barn cat playing with a lizard it just caught, I see turkey vultures that wish we didn’t have fencing around our chickens, I see a cobb house with a living roof that coexists with the life around it. I smell flowers and the the remnants of goat on my flannel from morning milking. It is a beautiful thing to sit back and listen, watch, and smell the life that is occurring around you. It’s hard to come from a bustling place like UMass where it feels like there isn’t a time or a place for such activities, but there should always be a time and a place for such activities. 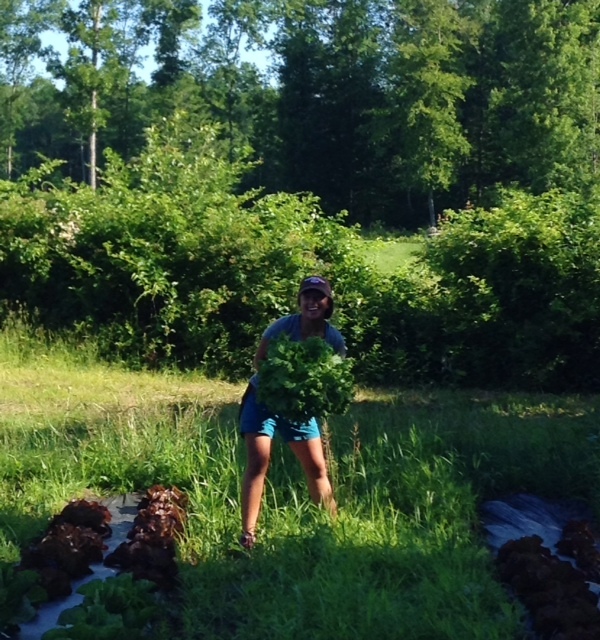 Last time I wrote in this blog I was on a farm in Woodstock, CT where my duties including managing all the aspects to a large vegetable CSA, raising beef cattle, pigs, and broiler and layer chickens. Today I’m writing to you guys, almost a whole 9 moths later on another farm! This summer I took on an internship at White Oak Farm & Education Center, located in Williams, OR… A long ways from Woodstock, CT!! I’ve never been to Oregon, or any further west than Idaho or Utah area, so this summer is truly a whole new experience for me. 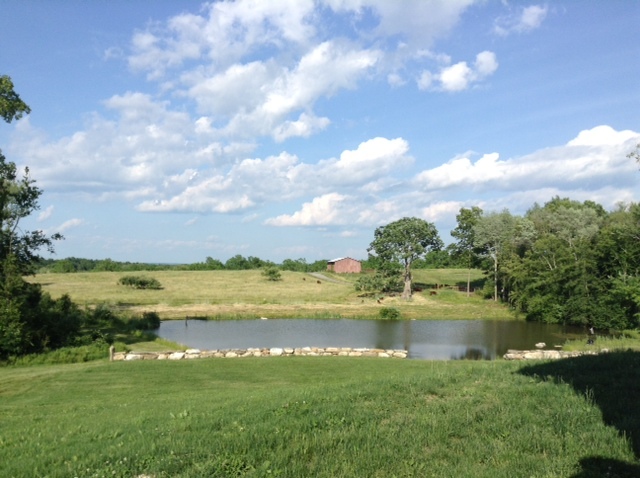 This summer I will be working and living here on the farm. 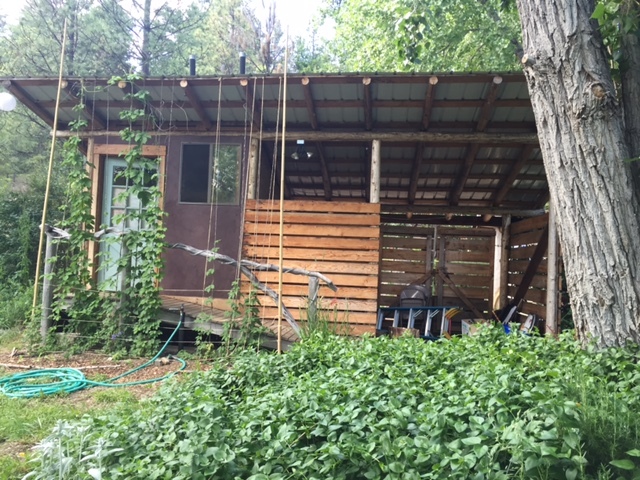 My living quarters consist of a wall tent and the common house I share with the other interns who live here is made out of cobb.. you will be seeing pictures don’t worry. 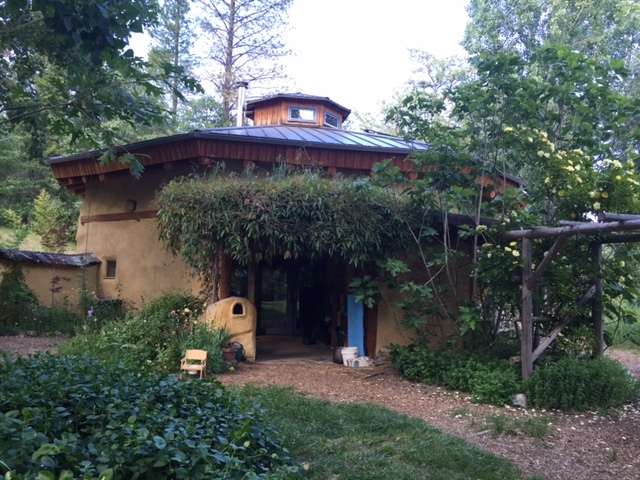 The farm practices many permaculture techniques, including the natural building, that can be seen around the farm and they do everything possible here to limit the waste they produce, which also includes a composting toilet. 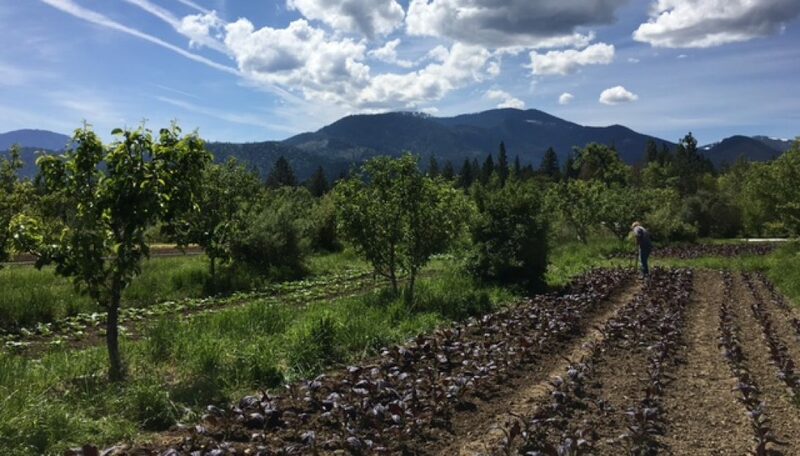 This summer I will get to see what it’s like to grow food in a whole new climate, as it can get pretty hot and dry in southern Oregon as the summer progresses. I will get to work with many beautiful fruit tress, learn education skills and more about working with children (we have field trips and summer camps here), learn more permaculture techniques and how to implement them, work with a goat herd that’s used for milking purposes, work with chickens and turkeys, and learn how to live a simpler and more sustainable life with a whole new group of people in a beautiful new place. I’ve almost completed my first full week here on the farm and I’ve been diving right into things. I got to harvest strawberries, see the Williams farmers market, do some planting, help with two field trips that happened this week, and I’ve been trained to milk the goats (Roo, Clover, and Una), I got my first good sunburn of the summer, and a managed to take a shower even with how exhausting it all was! And yesterday another intern and I got to go into Medford and do some thrift store shopping, and found a few good numbers! It’s been a lot to take in since everything is so new. New place, new people, and a whole new way of life. But I’m excited for the summer and all that I will be able to take away from such an experience. I suppose I should wrap up the summer for all of you reading my blog. I left at the end of August. Right when farm season turns around and the weather gets cooler, the trees look prettier, and the weeds stop growing. Well that’s okay that I missed it. I will spend fall on another farm, another time. Looking back on my experience I learned a lot, there’s no question there. The other interns and I were in the field the majority of the time without the farm owners. We, in turn, had to figure a lot out on our own, and make some tough decisions that the owners didn’t always agree with it. But, we were all farming for the first time so how were we supposed to know any better? I learned about failures. On a farm you cannot go through a whole season without a couple failures. You probably will not know what they will be, so the only way to prepare for them is to accept, to an extent, that they will come. I learned how to care properly for pigs, chickens, and I learned a little about beef cattle, but mostly I learned a lot about having a vegetable CSA. Seeding, greenhouses, planting, weeding, pruning, harvesting, and selling is a lot of what my summer consisted of. It also consisted of a lot of random jobs that could involve some really heavy lifting, or chasing and tackling an animal. Basically whatever needed to get done was in the interns hands, regardless of previous experience that you had. The thing about working on a farm for a summer is you really get a sense of what it’s like to be farmer, especially when you live on the farm 24/7. But, not every farm is the same and not every farmer is the same. My hours here were long and expectations were high. Although I learned a lot about farming in general I also learned the kind of farm I want to work on in the future, and the kind of farm I don’t want to work on. I also learned that if you’re going to be living with the farmers, as well as working for them, you should probably interview them the same way they will interview you. There should always be a healthy relationship between you and the farm owner to make it work, so make sure it’s a good fit. Know what you want to get out of this experience. It was amazing getting hands on experience on a farm. I look forward to finding another internship in the future. My goals are to work more with animals, because after getting a taste of that this summer I would really love to pursue it. The next internship I have I will continue to post here and let you all know how this one goes. The heat is intense. I can feel it boiling up inside me. The sweat drips down my neck to my pant line until it catches on my shorts. I can feel the heat pulsing in my forehead. “Drink water!”, my head scream at me. Then, I do the one thing you’re not suppose to on the farm, I look back at the row to see how far I’ve made it weeding and then I look ahead of me to see how far I have to go. I can’t help but feel defeated. Who ever would have though that I would feel more defeated by weeds than any person or challenge I’ve come across in my life. Weeds can just seem endless sometimes. A fly buzzes around me and I don’t even bother trying to swat it away. The fly crawls up my leg and walks straight over my poison ivy and I have to resist the urge to scratch. I think to myself, ‘weeding isn’t the worse thing you have to do on the farm. Just keep on moving. Keep a steady pace’. It’s true weeding isn’t the worse thing to do on the farm. Worse things: thorn bushes, chasing a baby calf through poison ivy when you’re only wearing crocs… but then again weeding is pretty bad, especially during hell month. Farmers call the period from mid July to mid August “Hell Month.” The reason this period of time is called “Hell Month” is because there is a million things to do and it’s 90 degrees and muggy almost every day. In this kind of weather we are pushing harder than we have so far, but we can’t kill ourselves. You have to take an extra moment to drink more water and cool down. The crew and I are getting better at dealing with the heat and the frustration of having an endless list. The girls on my crew and I tend to make up songs about weeding and crack lots of jokes with each other out in the field. It helps the time go by when you’re doing something like weeding. Anyways.. Happy “Hell Month” to all you farmers out there! Don’t forget to fill your Nalgene! A typical day on the farm starts off with a 4:45 alarm. It’s already hot when I wake up in the morning, and I’m usually sweating before I start making breakfast. Breakfast is 3 eggs and a slice of toast with peanut butter and honey (the eggs are from our farm). Then the farm crew and I go to the Taylor’s (the farm owners, our bosses) house for morning meeting. They give us a list of things that need to get done during the day and we typically all have a slightly different list. Then we go do morning chores which is taking care of the animals and making sure they have enough food and water. Chores get done 3 times a day. Lately we’ve been doing a lot of harvesting. We have so many veggies ready! We have radishes, turnips, arugala, lettuce mix, lettuce heads, pac choi, tat soi, cucumbers, summer squash, zucchini, carrots, cabbage, and our green house tomatoes are all turning red so we will be harvesting them shorty. Harvesting is easily my favorite farm chore. The past few days we have been doing a lot of tomato trellising, because they grow so fast and could always use a little support. There is blight in the area, but none of our tomatoes have it yet (fingers crossed). The day usually ends with speed weeding, and crushing as many beds as we possibly can. The day usually ends around 7, or 6:30 if we’re lucky. The most frustrating part of the day, at least for me, is how long the lists are and it’s impossible to ever get it all done, but we always try our hardest. All in all I feel that I’m made for farming. I like falling and rising with the sun. I like how satisfying it is to eat the veggies that I seeded, transplanted, cared for, endlessly weeded, and harvested. I like being sore when I wake up, but knowing I’ll forget about is as soon as I get out in the field. I like knowing exactly what I’m putting in my body, and helping other people do the same. Farming is not easy. It’s easily the hardest thing I’ve done. On my one day off I want to hike or surf and keep being active, but my mind and body is usually fighting me because I’m ready to just collapse. In the end farming is worth it. I hope to work on a new farm next summer that is different from Devon Point Farm. 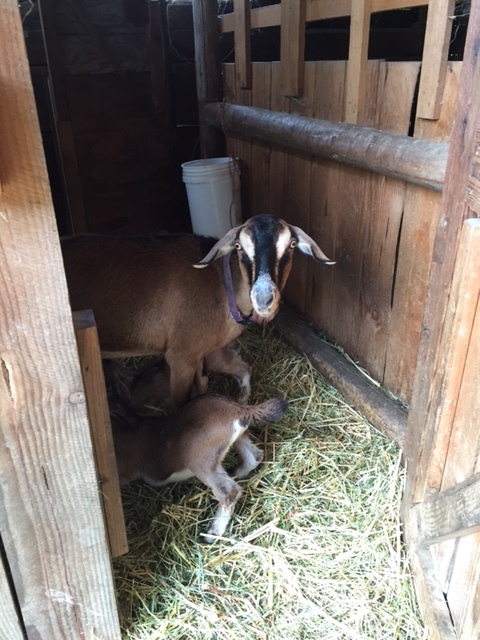 I think it would be interesting to do sheep and goat dairy, and maybe a farmers market (rather than a CSA share). Whatever happens I’m excited that I’ve found a passion in sustainable food and farming, and I look forward to the adventures my passion will take me on. 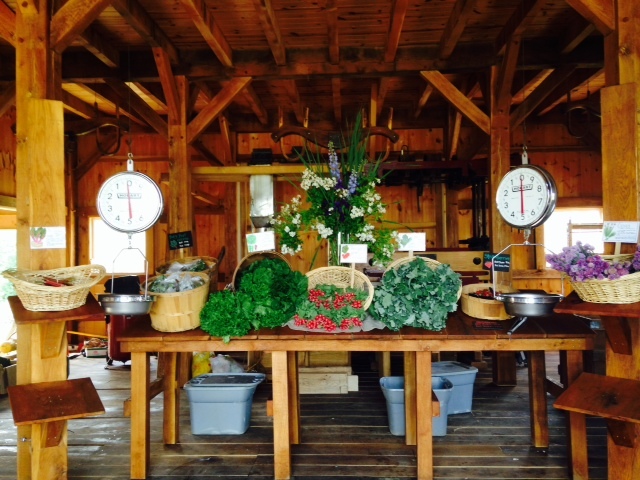 The farm crew and I got a second off of the field and took a trip to Buttonwoods farm Griswold, CT. They are a part of the Make a Wish foundation. This year they are helping over 200 children’s wishes come true. 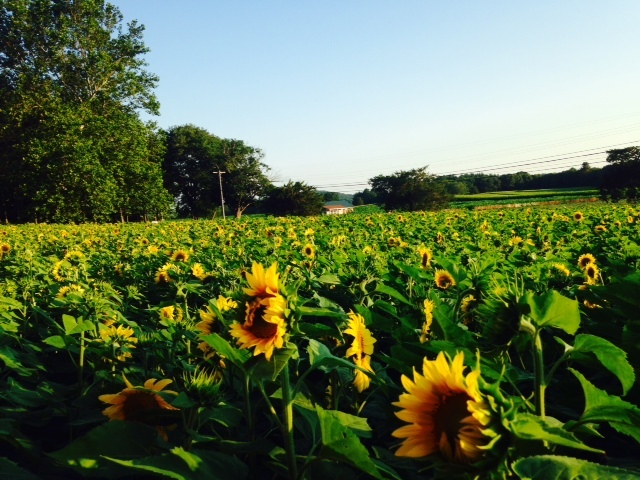 They have volunteers come and harvest the beautiful sunflowers like the one’s in the picture. They sell the sunflowers for $10 a bundle and that’s how they raise the money. It’s a gorgeous farm! And they have really good ice cream! Which I shouldn’t have had because I can’t have dairy, but I couldn’t resist (you have to pick your battles right?) Buttonwoods also had a large beef cattle heard, pigs, and produce. They are a big fan of their pesticides though! At Devon Point Farm we’re not such fans of pesticides. It was awesome to get to see another farm and see how what they are doing is different from what we are doing. I hope I get to keep visiting different farms in the future. The more farms I see up and running, the better sense I get for the kind of farm I want to have one day, or if I want to have a farm at all. Part of Devon Point Farm (where I’m interning) is helping out with farm camp. 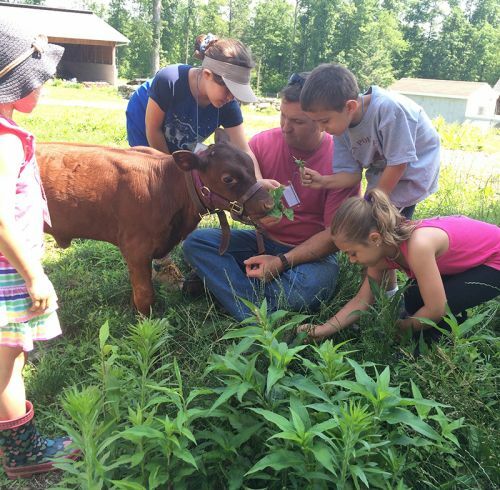 Farm camp is for young kids who are interested in learning more about farming! It’s a great way to educate kids on where their food comes from, and for them to get hands on experience with crops and with farm animals. Farm camp goes on for 3 weeks from 8:30- 3:30 and each week there is a new group of kids. Part of interning on the farm is helping out with the kids and teaching them what we have learned about farming. The kids love feeding Ruby, the calf in the photo, lots of clovers, and Ruby loves it too! 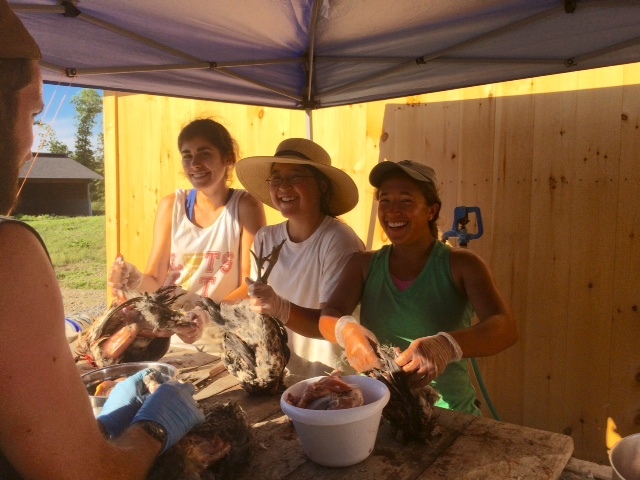 The crew and I participated in Rooster slaughtering on the farm. We had too many roosters.. you can only have so many. The farm allowed the roosters to get big enough so we could get meat off of them, and when we no longer had a place for them they had to go. It was sad, but it also needed to be done and was a good experience. Before farming I would have been appalled by something like this, but the reality of farming is that your raising animals for food and you’re on a tight budget. This does not mean that I approve of animal abuse of any kind. Animal cruelty is not okay, and when animals need to be killed it should be done in a kind and quick manner as we did at Devon Point Farm. Once the rooster were slaughtered we plucked them and stripped the meat off of them. This was messy and smelly. We were all lucky it was done at the end of the day because we were all anxious to shower when we got done. Here’s a picture of the barn. This is where the CSA takes place every tuesday and friday. This is an older picture. We now have carrots, turnips, cucumbers, and squash that are ready and in making CSA members happy! We also have had snow pea and snap pea picking. So much veggie stir fry’s and salads!